The Amherst Fire Department is a paid, on-call organization. The Fire Chief is the only full-time position. 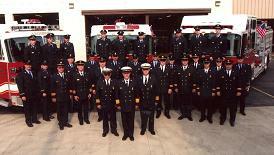 It is staffed by 35 highly trained firefighters who use the latest firefighting equipment. Our department is also involved in Hazardous Materials Response, Heavy Rescue, Dive Team, First Responder Medical Response and assists the Lorain County Emergency Response Team in confined space, trench rescue and mass casualty incidents. 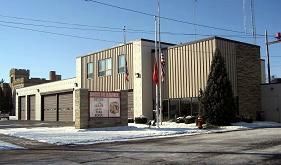 Firefighters respond to the Fire Station from their homes or work place. Our response time to the City of Amherst and Amherst Township is excellent . We have state of the art equipment that allows us to operate successfully. We train on all aspects of the fire service. Our traditional values reflect in our professionalism, as proud members of the Amherst Fire Department.e Amherst Fire Department has an outstanding fire safety education program. This special program reaches out to the pre-school, elementary and middle school grades to teach children at a very young age the do’s and don’ts of fire safety. We reach out to the general public in different events during the year to educate our citizens about fire safety. We offer free home fire and safety inspections. 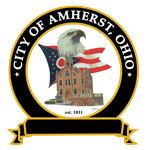 The Amherst Fire Department has two active, part-time Fire Inspectors that focus on all business, school, nursing home, and medical facilities within the City of Amherst. They work hard to ensure these establishments abide by the fire code and city ordinances pertaining to fire safety.